The Kestrel is a beautiful little falcon, known for the "praying" it does for instance above the shoulders of a highway. With short wing-beats it hangs in the air and dives at great speed on a prey, usually a mouse. 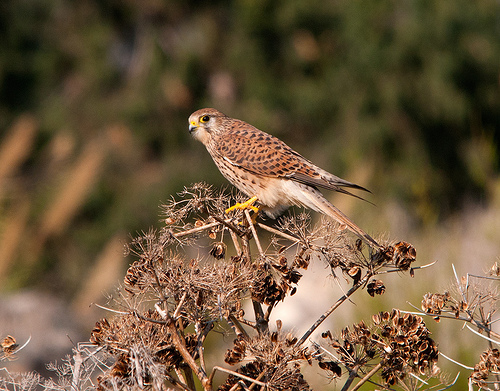 The Kestrel sometimes breeds in special man-made large rectangular boxes. 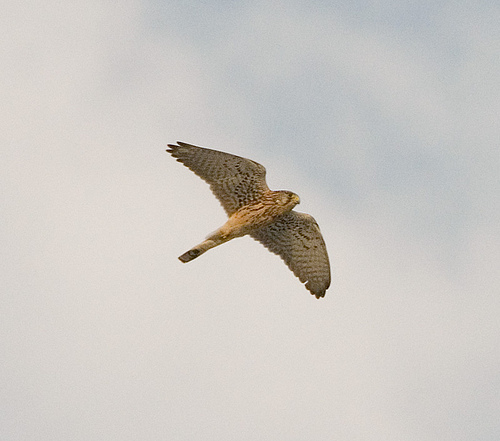 The Kestrel is brown and black. The Merlin is bluish-grey. The Kestrel is larger and has a hooked beak. The Cuckoo has a rather small beak.